PHILADELPHIA--(BUSINESS WIRE)--Medical Guardian, a leading provider of innovative medical alert systems, will introduce the industry’s most advanced medical alert device at the 2018 Consumer Electronics Show (CES) in Las Vegas from January 9-12. The company will unveil the Freedom Guardian, a sophisticated wearable technology designed to challenge industry stereotypes and revolutionize how older Americans age in place – or on the go. The Freedom Guardian is a discrete, customizable watch designed to blend in while providing round the clock monitoring, support and connectivity. The market penetration of medical alert systems is extremely low, estimated at just five percent by The Edmonds Group in a 2012 report, “Personal Emergency Response Systems (PERS) State of the Industry Sector.” Medical Guardian has found that low consumer adoption stems from a negative stigma associated with traditional medical alerts systems, which are often bulky and unattractive and offer the “button push” as their only feature. Medical Guardian understands that when customers don't need to use that single feature in a few months’ time, they believe they no longer need it and opt to go without its potentially life-saving protection. The Freedom Guardian is designed to provide value on a daily basis in order to increase the number of older adults with access to emergency help wherever they go. Medical Guardian will offer demonstrations of The Freedom Guardian device and app at CES in the Health & Wellness Marketplace in the Sands Expo, Halls A-D (booth #43855). The watch provides access to transportation, messaging capabilities and emergency help, among its many features. Stop by the booth at 1 p.m. PST every day of CES for an official product demonstration. The Freedom Guardian offers a comprehensive suite of features that help users be safe, live healthy and stay connected. 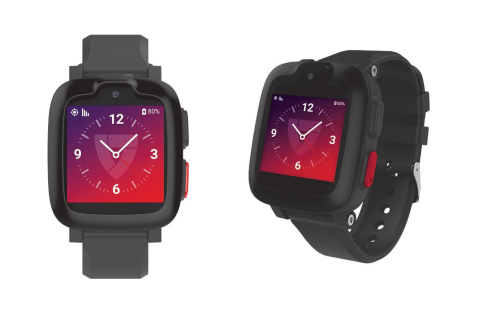 The watch is lightweight and comfortable to wear, and it has a hi-res color touchscreen and oversized icons for ease of use. The device is audible, which is especially important for users whose eyesight may not be as good as it once was. It has the capability to read out the date, time and text messages sent through the Freedom Guardian app by members of the user’s care circle. Users can also dictate text messages in return. SOS with Two-Way Communication: There is a button conveniently located on the watch designated for emergencies, such as a fall. Users can call for help through the watch at any time and speak with trained Medical Guardian monitoring center staff. GPS and Wi-Fi Location Finder: Advanced location technology will not only search cell signals to find the user, but will also use Wi-Fi to pinpoint his or her exact location in any emergency. Voice Messaging: Users can share a voice message conversation with those in their care circle. Safe Movement Zones: Through geo-fencing technology, members of the care circle can receive notifications through the Freedom Guardian app when the user leaves or arrives at a designated location. The Freedom Guardian also provides a range of reminders and useful information, including medication reminders, calendar reminders, a morning alarm and 3-day weather forecast. The watch will vibrate with any alert or reminder. Freedom Guardian tracks step count and measures progress toward a goal. The Freedom Guardian is water resistant and will be initially available in black and white. Owners may customize the backdrop of the clock face with a photo. The PERS market is expected to grow. The youngest members of the baby boomer generation will reach age 65 in the year 2029. By 2050, the 85+ age group will reach 19 million – 24 percent of older adults and five percent of the total American population, according to The Institute on Aging. Freedom Guardian will be available in Q2 2018.